Looking for a “spooktacular” Halloween experience? Visit Washington, D.C., and you’ll find many great neighborhoods that feature amazing Halloween decorations, lots of Halloween events and, of course, plenty of trick-or-treating. A neighborhood that gets its name from the legendary congressional building, the Capitol Hill neighborhood is filled with large townhouses that typically give out some of the best Halloween candy year after year. Plus, this neighborhood offers the one-of-a-kind “Hilloween” party that enables kids to celebrate the holiday at the historic Eastern Market area. Adults are sure to enjoy their trip to the Capitol Hill neighborhood, too. And for those who dress up for Halloween, you’re likely to see many distinct Halloween costumes in this neighborhood. Georgetown represents a top choice for trick-or-treaters, and it’s easy to understand why. This neighborhood remains exceedingly busy around Halloween, and Georgetown residents have shown they enjoy celebrating the holiday in style. As a result, you may see Halloween costumes and decorations in Georgetown that you simply won’t find elsewhere. Georgetown remains a safe destination for trick-or-treaters of all ages. Despite the fact that thousands of visitors flock to Georgetown for Halloween, the Georgetown community continues to work hard to ensure kids and parents can remain safe as they go from house to house on Halloween night. Looking to bring a touch of history to your Halloween experience? Visit Old Town Alexandria, and you can enjoy an unforgettable Halloween night of trick-or-treating and other fun-filled activities. Old Town Alexandria is located only minutes outside of DC and features many shops that get into the Halloween spirit. 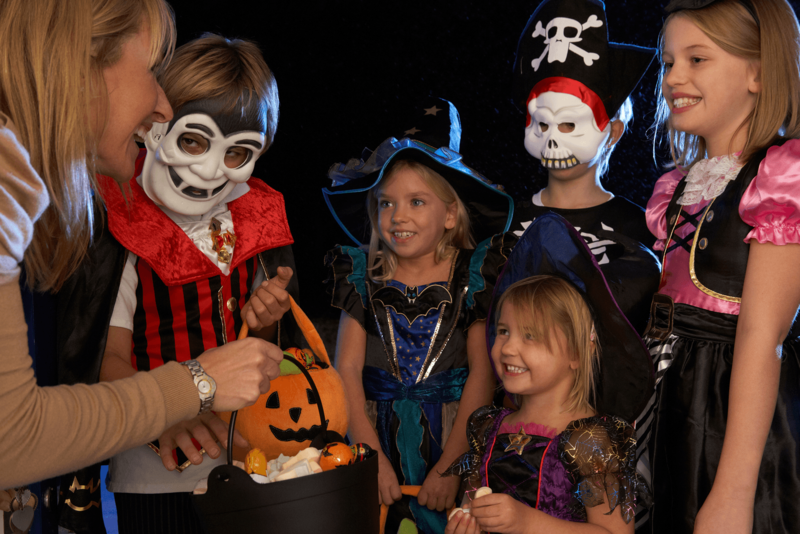 Kids can stop at shops and receive lots of great candy on Halloween night. If you want something a little spookier than trick-or-treating, Old Town Alexandria provides fun and frightening ghost tours that guests of all ages are sure to appreciate. These tours are both educational and exciting, and may make you reconsider whether ghosts are real. Embassy Row includes a stretch of homes from the Vice President’s residence to Dupont Circle, ensuring trick-or-treaters should have no trouble filling their bags with lots of candy on Halloween night. As part of Embassy Row’s Halloween night festivities, each embassy opens its doors for trick-or-treaters, ensuring they can pick up plenty of terrific treats along the way. A trip to Embassy Row can also provide an unparalleled learning experience, as each embassy invites visitors to explore the culture of its native country. Embassy Row even proves you’re never too old for trick-or-treating. This neighborhood provides Halloween candy for guests of all ages, letting both kids and adults to satisfy their sweet tooth. 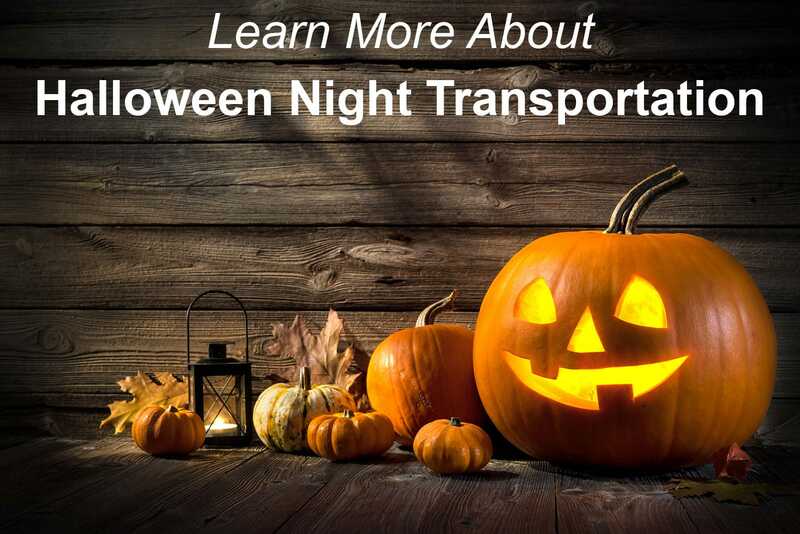 Enjoy Safe, Dependable Ground Transportation on Halloween Night. Let’s face it – Halloween night travel around the nation’s capital can be exceedingly difficult, regardless of whether you drive into D.C. on your own or choose a ridesharing service. If you drive into D.C., you likely will encounter lots of traffic and may struggle to find parking. After your Halloween experience reaches its conclusion, it might take you several hours to return home due to the sheer volume of visitors traveling in and around the area. A ridesharing service like Uber or Lyft guarantees you won’t have to drive into DC on Halloween night, but could struggle to help you reach your destination on schedule. And with “surge” pricing often in place on holidays, you could pay many times the normal rate for ridesharing on Halloween night. Traveling into D.C. on Halloween night can be challenging, but American Executive Sedan is here to make your travel as easy as possible. At American, we understand the difficulties associated with traveling around D.C. on Halloween night and will work with you to address such issues quickly and efficiently. That way, we’ll make it easy for you to travel to any D.C. neighborhood on Halloween night so you can make the most of your Halloween experience. For those who want to simplify their travel plans into D.C. on Halloween, American represents a superior choice. Unlike other chauffeured car services, we’re committed to customer satisfaction and will do everything possible to ensure you are fully supported during your trip into the nation’s capital. And if you ever have concerns or questions along the way, we’re prepared to address them immediately.